With the words of the great Chinese life-philosopher and idler, Lin Yutang, I call myself an apostle of loafing. Look at what the wisdom of the art of loafing has given us. Chinese literary tradition is rife with the jottings of non-achievers – the cultured vagabond, the scholar recluse, the Taoist wanderer. Already in 500BC, the sage Lao Tzu recommended that one should “never be the first in the world”. Only he who is not wanted by the public can be a carefree individual, runs the Taoist adage. The importance of living is peopled with educated dropouts – for instance poets such as Su Tungpo and Tao Yüanming; Su, who sang about “the clear breeze over the river and the clear moon over the mountains”, and Tao, who sang about “the hen, which rested in the top of a mulberry tree”. After having followed the Beatwriters´ way of living for a period, then these Chinese kinds of dropouts have become the new great source of inspiration in my life. Today I have retired to Rold Forest, where I participate in the joys of conversation on a moonlit night; to be in the middle of a joyful gathering of happy friends, like in Wang Hsichih´s immortal little essay The Orchid Pavilion. 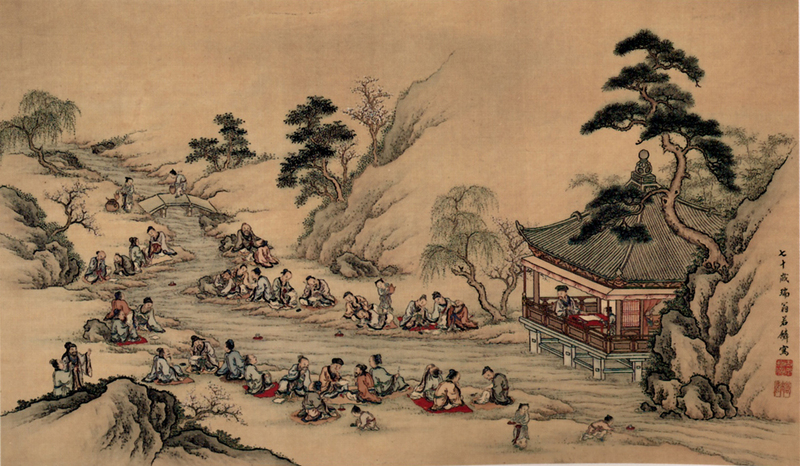 The Orchid Pavilion Gathering of 353 CE was a cultural and poetic event during the Six Dynasties era, in China. This event itself has a certain inherent and poetic interest in regard to the development of landscape poetry and the philosophical ideas of Chuang-Tze. In the end, twenty-six of the participants composed thirty-seven poems. The Orchid Pavilion Gathering was an example of what´s today called philosophical counseling and cafés. The Art of Loafing seems to tell something essential about human nature. It is echoed in many cultural connections. 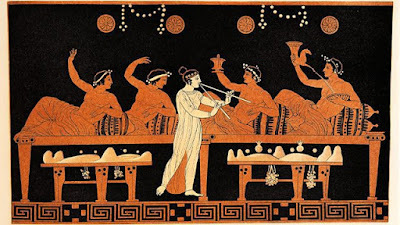 It for example reminds about what in ancient Greece was called the symposium, a part of a banquet that took place after the meal, when drinking for pleasure was accompanied by music, dancing, recitals, or conversation. 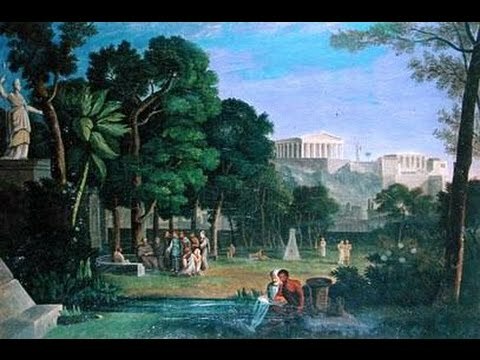 Literary works that describe or take place at a symposium include two Socratic dialogues, Plato's Symposium and Xenophon's Symposium, as well as a number of Greek poems such as the elegies of Theognis of Megara. 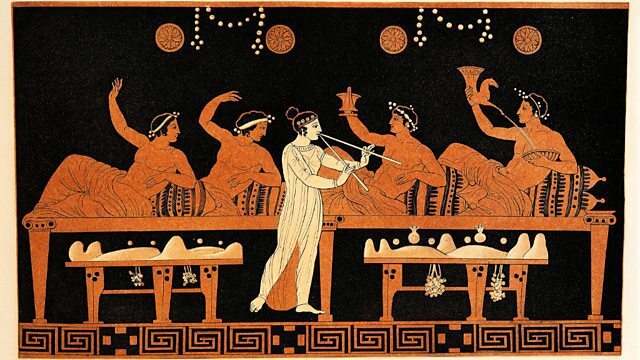 Symposia are depicted in Greek and Etruscan art that shows similar scenes. The Right to be Lazy is an essay by Cuban-born French revolutionary Marxist Paul Lafargue, written from his London exile in 1880. The essay polemicizes heavily against then-contemporary liberal, conservative, Christian and even socialist ideas of work. Lafargue criticizes these ideas from a Marxist perspective as dogmatic and ultimately false by portraying the degeneration and enslavement of human existence when being subsumed under the primacy of the "right to work", and argues that laziness, combined with human creativity, is an important source of human progress. He manifests that "When, in our civilized Europe, we would find a trace of the native beauty of man, we must go seek it in the nations where economic prejudices have not yet uprooted the hatred of work...The Greeks in their era of greatness had only contempt for work: their slaves alone were permitted to labor: the free man knew only exercises for the body and mind...The philosophers of antiquity taught contempt for work, that degradation of the free man, the poets sang of idleness, that gift from the Gods." And so he says "Proletarians, brutalized by the dogma of work, listen to the voice of these philosophers, which has been concealed from you with jealous care: A citizen who gives his labor for money degrades himself to the rank of slaves." (The last sentence a quote from Cicero.). However, Marx himself condemned these ideas. In his essay The Abolition of Work, the anarchist Bob Black argues for the abolition of the producer- and consumer-based society, where, Black contends, all of life is devoted to the production and consumption of commodities. Attacking Marxist state socialism as much as market capitalism, Black argues that the only way for humans to be free is to reclaim their time from jobs and employment, instead turning necessary subsistence tasks into free play done voluntarily – an approach referred to as "ludic". The essay argues that "no-one should ever work", because work – defined as compulsory productive activity enforced by economic or political means – is the source of most of the misery in the world. Play, in contrast, is not necessarily rule-governed, and is performed voluntarily, in complete freedom, as a gift economy. 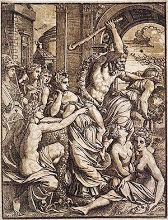 He points out that hunter-gatherer societies are typified by play, a view he backs up with the work of Marshall Sahlins; he recounts the rise of hierarchal societies, through which work is cumulatively imposed, so that the compulsive work of today would seem incomprehensibly oppressive even to ancients and medieval peasants. He responds to the view that "work," if not simply effort or energy, is necessary to get important but unpleasant tasks done, by claiming that first of all, most important tasks can be rendered ludic, or "salvaged" by being turned into game-like and craft-like activities, and secondly that the vast majority of work does not need doing at all. The latter tasks are unnecessary because they only serve functions of commerce and social control that exist only to maintain the work-system as a whole. These ideas are important in my own philosophy of idleness. If I should mention a modern English idler, which promotes all the qualities of an idle way of life, you could mention Tom Hodgkinson (born 1968). His philosophy, in his published books and articles, is of a relaxed approach to life, enjoying it as it comes rather than toiling for an imagined better future. Together with his friend Gavin Pretor-Pinney he founded The Idler which is a bi-yearly British magazine devoted to promoting its ethos of 'idle living' and all that entails (read an additional account on idleness in my pop culture files on The Hobbit and The Big Lebowski). Ronald Hutton´s book The Rise and Fall of Merry England: The Ritual Year 1400-1700 demonstrates how the festive culture of the Middle Ages was gradually eroded by the Reformation and the Puritans. It was in this merry time the legend of Robin Hood was formed. Robin Hood is a heroic outlaw in English folklore who, according to legend, was a highly skilled archer and swordsman. Traditionally depicted as being dressed in Lincoln green, he is often portrayed as "robbing from the rich and giving to the poor" alongside his band of Merry Men. Robin Hood became a popular folk figure in the late-medieval period, and continues to be widely represented in literature, films and television. In The Hobbit we discover that this idea of gift economy is shared by Bilbo Baggins, who gives most of his treasures away. Also it is seen in the hobbit custom of giving presents when they celebrate their birthdays, instead of receiving them. 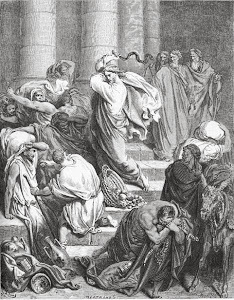 And Max Weber´s book The Protestant Ethic and the Spirit of Capitalism shows how the competitive Protestants booted out the co-operative Catholics; it shows how a new ethic based on work and earning a lot of money came to replace, in the eighteenth century, the old medieval ethic, which was based on mutual aid. The medieval culture (which wrongly are depicted as a dark age by the Protestant work ethic) combined a love of Jesus, who preached idleness, and a love of Aristotle, who argued that contemplation led to happiness. (I would recommend this book to anyone who wants to banish their guilt around work). The Chinese dropouts and the Epicurean attitude became a central inspiration for my own life, my teaching, my kind of philosophical counseling and cafés. It is a passive way of meditation, a non-acting, receptive receiving, relaxed, enjoying, easy laid-back holyday-like kind of awareness, as when you listen to the birds or the breeze in the trees. So today I live like a kind of philosophical mendicant friar, in poverty, chastity and obedience to some philosophical principles. I began to ask people the question: What philosophy of life would you choose if money was no object? Following this philosophy of gift economy (freely give, freely receive) all my services (including philosophical counseling and cafés) are free of charge. All my articles and books are available in free PDF Versions. I earn my living from what people give me (the “freely give, freely receive,” philosophy) and what the society can offer in form of social security benefit (which I see in the light of a kind of “Robin Hood-philosophy”). This is sometimes not very popular, but as I have mentioned, sometimes you have to be a kind of spiritual anarchist, a philosophical rebel, if you want to live in accordance with your calling in life. And not so different from how monks and nuns, or artists, always have lived. 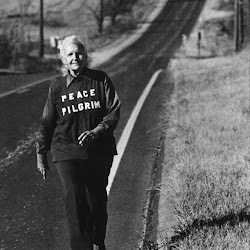 Krishnamurti said, that it would be wise to retire in the age of 40 or 45, or even younger. Not in order to enjoy the fruits of what the world can offer, or what you have gathered of wordly things, but retire in order to find yourself, to think and feel deeply, to meditate and discover reality; because then you would actually be able to help the world in quite another way, because you not are identified with it. An insider in society is namely an outsider in relation to life itself, while an outsider in relation to society, is an insider in life itself. 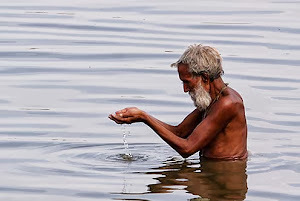 My art of living is an idle philosophy born of an idle life. And if my life raises the suspicion of lolling, then look at my actions. I am trying to help people, and are favouring a person who would react freely and incalculably to external circumstances, pitting their individual liberty against the process of society: the little man eluding the clutches of the traffic warden.